One of my favorite fall treats is the Pumpkin Spice Latte from Starbucks. However, my waistline and wallet are not quite as enthusiastic about this indulgence. So, I sat down to figure out a way to bring this treat home. Other than the occasional latte or mocha from Starbucks, I am not a coffee drinker, so brewing my own coffee or espresso was out. 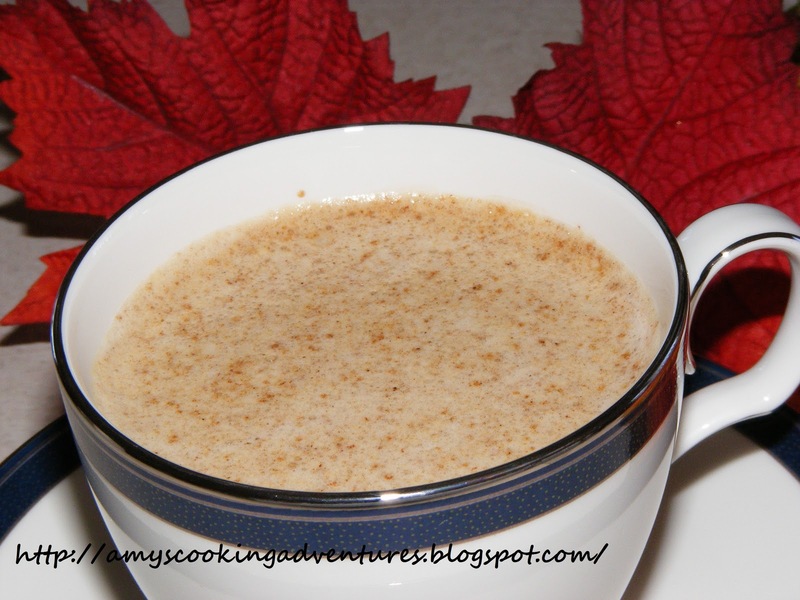 So, I came up with a shortcut latte, using a premix from the store and some pumpkin puree. The pumpkin puree makes a nice thick pumpkin drink and the skim milk cuts the calories considerably. 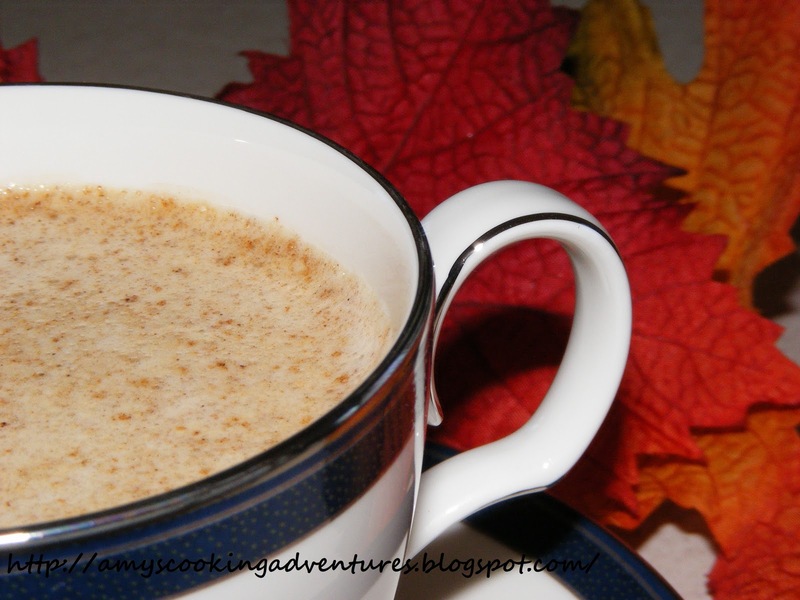 If you like a thinner coffee drink, the pumpkin could be easily omitted. Speaking of pumpkin puree, I recently read a news article stating that the canned pumpkin shortage was over, though I have yet to see evidence of such in my town. The canned pumpkin shortage made me sad, so I bought some sweet pie pumpkins and made my own pumpkin puree. Annie over at Annie’s Eats has great step by step directions on how to roast and puree your pumpkins. 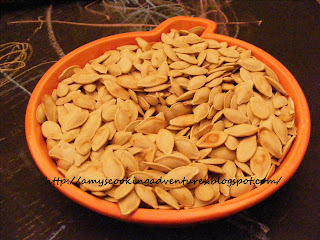 An added bonus to making my own pumpkin puree was a batch of yummy roasted pumpkin seeds. Whisk milk and pumpkin puree together. Microwave 90 seconds or until hot (do not boil). Mix in latte mix and spices. Relax and enjoy. You're welcome! You can definitely link me on your blog! I love sharing recipes with everyone! I'm a pumpkin nut! This sounds yummy!